One of the tastiest veggies ever in my opinion is the sweet potato. I love how easy it is to cook a sweet potato in microwave and it takes so much less time then baking sweet potatoes in the oven. Microwave sweet potato can quickly become your go to sweet potato recipe once you realize just how easy they are! If you are looking for how to cook a sweet potato in the microwave you are in luck! This microwaved baked sweet potato recipes has everything you need to know for how to microwave a sweet potato. The simple answer to the question, can you microwave sweet potatoes, is YES! You totally can! The even better answer is that they taste totally amazing too! 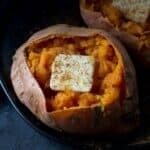 Everyone in my house loves sweet potatoes, there are plenty of ways to make them, however the quickest, easiest and our favorite way is making a Microwave Baked Sweet Potato! To make a Microwave sweet potato it is so easy, you may end up wondering why you ever cooked your sweet potatoes in the oven. But don’t worry most likely you will never go back to baking sweet potatoes in the oven once you make this Microwave sweet potato recipe. When cooking a sweet potato in the microwave, there is no waiting for the oven to heat up, so you save a TON of time cooking! Depending on the size of your sweet potato, it takes about 8-10 minutes to fully cook a sweet potato in the microwave! If you are looking to cook a sweet potato quickly, this is the perfect recipe for you! Once you have cooked your sweet potato in the microwave it is up you how fancy you make it. There are many things that you can add on top of your sweet potato. Personally I love a little bit of butter, a drizzle of maple syrup and a sprinkle of cinnamon. 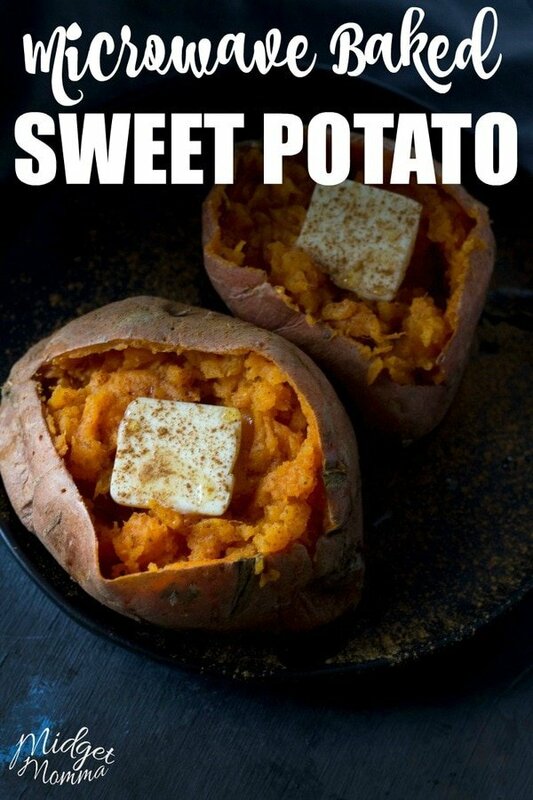 However sweet potatoes are totally amazing with just a dollop of butter and some sour cream on them too! Why cook Sweet Potatoes in the Microwave? Short answer – the cook time is soo much shorter when you are cooking a sweet potato in the microwave, compared to when you are baking sweet potatoes in the oven. This microwave sweet potato recipe is perfect for when you are wanting a tasty sweet potato with out having to spend a ton of time cooking them. 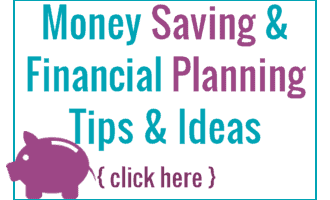 Seriously, it is super easy and super quick to cook sweet potato in microwave! It is really easy to cook sweet potato in microwave, it just takes a few minutes to do and then you can have it ready to go and enjoy! All you have to do is wash your sweet potato, stab it a bunch of times with a fork and then cook it in a microwave safe dish in the microwave. 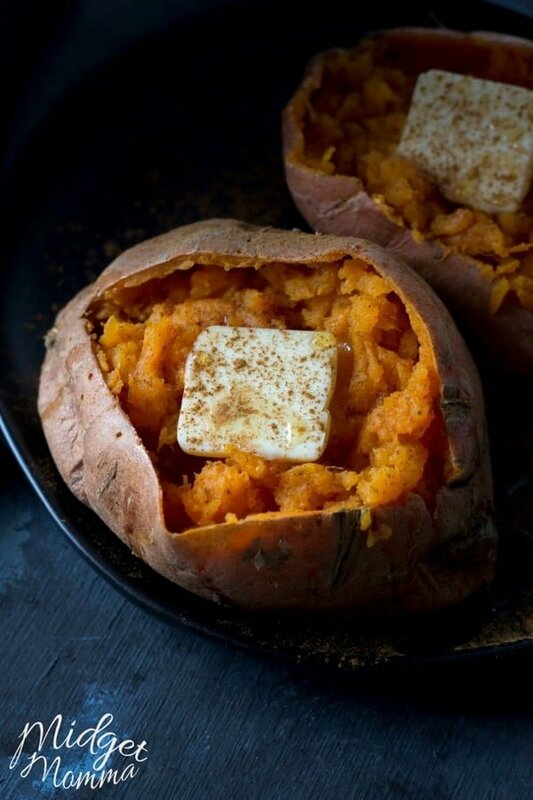 Following these easy steps for how to cook a sweet potato in the microwave, you never have to worry about waiting forever for them to bake in the oven. 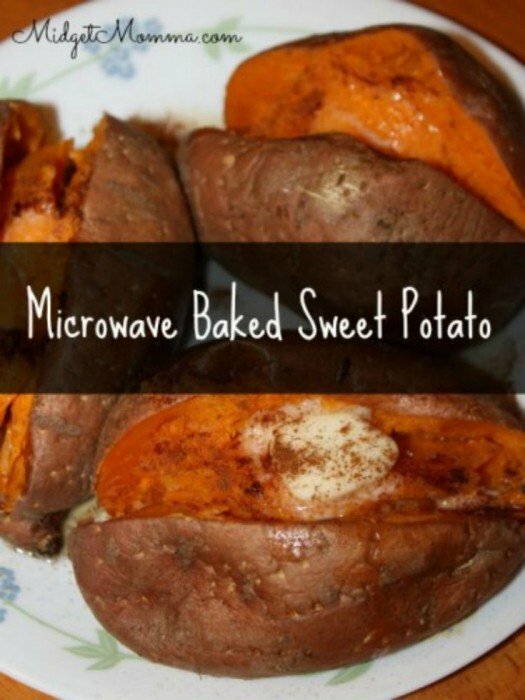 This Microwave Sweet Potato recipes gives you an amazing, smooth baked sweet potato much faster then using the oven. Top your baked sweet potato with butter, cinnamon and maple syrup and you have one of the most amazing side dishes ever! 1/8 Cup Maple Syrup Don't use the fake stuff! Wash your sweet potatoes well. 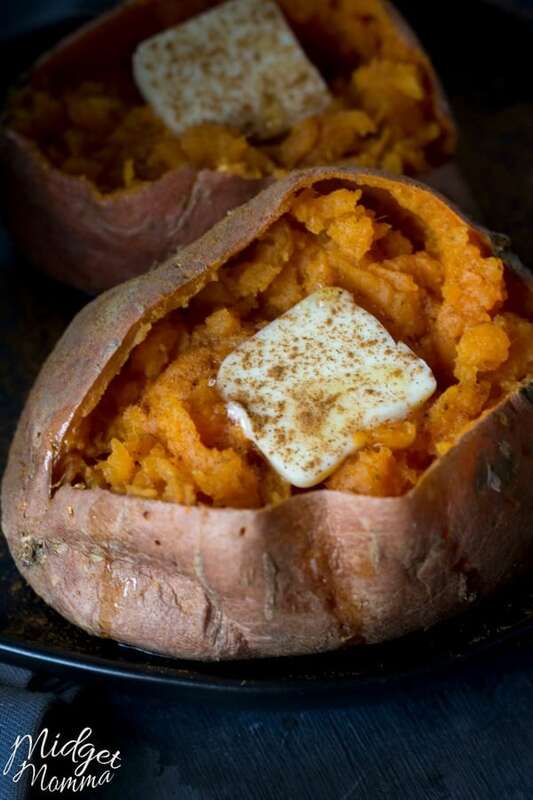 Using a fork poke tons of holes in it – about 20-30 times all over your sweet potato. 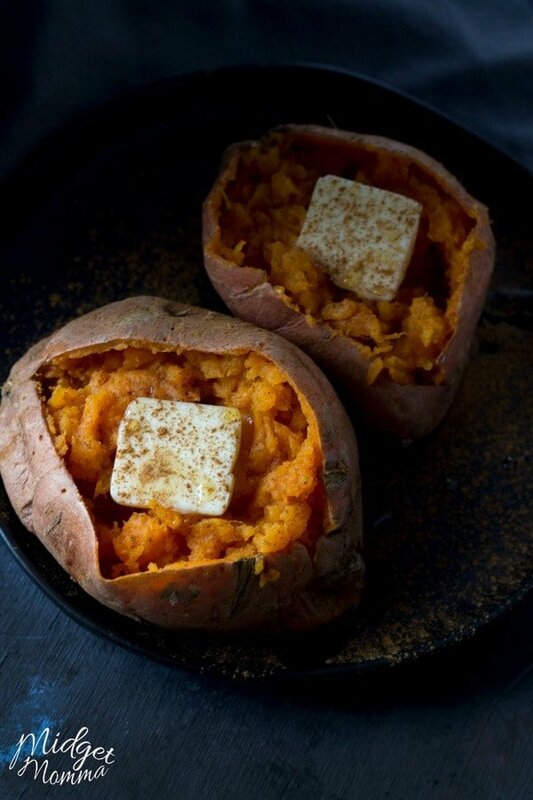 Place your sweet potato on a microwave safe plate. Microwave for 8-10 minutes. After 8 minutes check to see how soft they are. You want them to be smushy like. Remove from the microwave carefully when done. They will be HOT but you will know when they are done when they are smushy. Let them cool for 2-3 minutes. Then cut them open horizontally. Using your fingers squeeze the sides a bit to push it off the skin a bit and push the insides a little. Stick a few thin slices of butter on top. If you are wanting to blow the flavor out of the water our favorite thing to do is drizzle maple syrup and sprinkle some cinnamon on top and mix it into the sweet potato! Oh so good! This recipe is created by MidgetMomma.com. 2 – 6 Weight Watchers Freestyle Points with out the maple syrup depending on the size of your sweet potato. Best way to find exact points is to weigh yours. There are no additional points for adding cinnamon!